The Low-Down: How Many Taxpayer Dollars Is An Amazon Warehouse Job Worth? How Many Taxpayer Dollars Is An Amazon Warehouse Job Worth? Officials appear convinced that subsidies are justified by any job created; an attitude reflecting defeatism borne of desperation as manufacturing jobs remain scarce in an age of automation. Joshua Geathers spent two exhausting years inside an Amazon warehouse complex in Southeast Baltimore. He worked first as a packer, bundling shipments to go out for delivery, and later supervised for quality control, eventually earning $14.70 an hour. The position paid better than his previous job at Staples, but he was often so drained after working that he used his paid time off just to sleep and recover. “I felt tired all the time,” said the 24-year-old Geathers, who lives within walking distance of two adjacent Amazon facilities. He found he sometimes had to run to complete his tasks on time, even though the warehouse had a strict policy against running for safety reasons. Cities and states around the country, including Baltimore and Maryland, are now jockeying to become home to Amazon’s next headquarters, branded HQ2. Local government officials have proposed massive tax breaks for the online retailer. And the desperate bids to attract tens of thousands of tech jobs through the subsidies is giving corporate watchdogs heartburn. But Amazon has already been benefiting from public subsidies for years, in exchange for warehouse jobs like Geathers’ that pay far less than headquarter jobs. Tax incentives like those in Maryland have helped fuel Amazon’s rapid growth of its distribution network. In 2015 and 2016 alone, local governments committed roughly a quarter of a billion dollars in subsidies to Amazon facilities, according to Good Jobs First, a progressive nonprofit that tracks subsidy awards. Amazon raked in another $600 million in the decade leading up to 2015, the group found. In many cases, government officials offered the tax breaks with little or no public discussion about wages or working conditions. 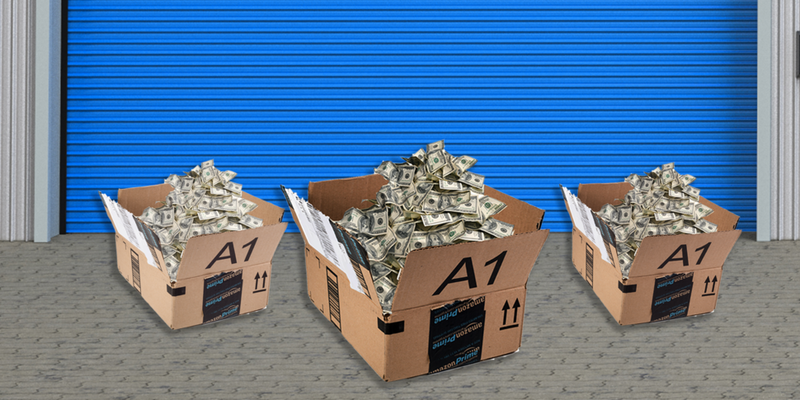 As the retailer expands to new areas in its effort to dominate same-day delivery, more cities and counties will have to ask themselves: How much public money is an Amazon warehouse job really worth? Amazon says its contributions to the Maryland economy are well worth the taxpayer investments. The company has put a billion dollars in its operations and now has 5,000 full-time employees in the state, according to data provided by Amazon. It recently inked a deal to open an additional Baltimore area fulfillment center, where it expects to employ another 1,500 people. The first Baltimore facility is emblematic of major shifts in the U.S. economy, as manufacturing jobs have given way to retail and service work. For seven decades the site was home to a General Motors plant, providing good-paying union jobs for the city’s working class. The last van rolled off the assembly line in 2005, when the plant closed and laid off 1,100 workers. City and state officials spent years looking for a company to breathe life into the 2.8-million square-foot site. With the rise of online retail, fulfillment centers have become a natural fit for post-industrial plants now sitting idle. The typical warehouse occupies a million square feet and employs between 1,000 and 3,000 workers. But the positions don’t necessarily have the same middle-class trappings as a GM manufacturing job. An Amazon spokesman said its fulfillment center workers receive “highly competitive wages” that pay “on average 30 percent more than traditional retail jobs,” a figure consistent with worker interviews. The average retail salesperson in the U.S. earns $10.90 per hour, according to the Labor Department, while low-level Amazon warehouse workers said they earn between $13 and $15 per hour in Maryland, where the minimum wage is $8.75. But the work is far more physically demanding ― after all, these are warehouse jobs, not retail jobs. And in many cases, the positions still don’t pay enough to sustain a family. Of the half-dozen workers HuffPost interviewed who’d cycled through the Baltimore location, all earned wages that equated to annual salaries in the mid- to high-$20,000s. “It’s not a lot of money, but it beats McDonald’s or Wendy’s,” explained Nigel Hammett, who worked in the Baltimore facility last holiday season. Many workers end up at Amazon fulfillment centers as temps whose jobs may end at any moment, employed by outside firms that offer lesser benefits than direct hires receive. Still, local governments find the prospect of Amazon warehouse jobs hard to resist, particularly in down-and-out neighborhoods. In the case of Baltimore, many of the city’s longtime residents have been left behind in the now-booming regional economy. The unemployment rate for African-Americans in the city is three times that of whites, and the median household income for an African-American family is around $34,000, according to one analysis. Only 13 percent of African-American adults in the city have a Bachelor’s degree or higher. Sierra Singleton wound up at the Baltimore Amazon facility in 2015 for the same reason many others do: It was the best job she could find. She was 22 at the time and had no fixed address. She was poor enough to be grateful for the free T-shirt that came with the job. She started out at $13.00 per hour, as opposed to the $8.50 of her previous job, and got 50 cents more per hour for working overnight shifts. She eventually got her own one-bedroom apartment near the fulfillment center. There were some things Singleton didn’t like about the facility. Many of the best supervisory positions seemed to go to people who weren’t from Baltimore, and the job was so taxing that she eventually had to move on after two years. “I was pushing my body past its limits,” she said. Still, she credits the company with keeping a roof over her head, and she left on good terms in November, in case she ever wants to return. Amazon’s arrival, in her estimation, has been a good thing for Southeast Baltimore. A worker sorts products into bins inside of a large Amazon fulfillment center. Singleton’s experience helps explain why so many cities and counties offer subsidies for Amazon warehouses: They fear much-needed jobs will go somewhere else. But critics of the tax breaks say governments are funding the demise of their own local retailers by subsidizing Amazon’s growth. They also argue that officials are giving away money in exchange for fulfillment centers that would be built in the same regions anyway, regardless of subsidies, given Amazon’s same-day delivery aspirations. Amazon’s goal of delivering to its customers within mere hours requires more and more warehouses, and not just in the more rural, low-cost areas where it built many of its earliest. The company is bringing fulfillment jobs to dense coastal areas like Baltimore because its business plan compels it to. Some of the subsidies for Amazon warehouses are less than a million dollars a piece. But in Ohio, the company netted $17 million for two facilities; in Wisconsin, $32 million for one, according to Good Jobs First. A Jacksonville, Fla., warehouse came with a total of $27 million in subsidies. The largest so far was Baltimore. Most of these subsidies come in the form of corporate income tax credits, property tax abatements, infrastructure improvements and tax increment financing. The bulk of Amazon’s subsidies in Baltimore came as state “enterprise zone” credits reserved for investments in struggling areas. The retailer qualified for those funds by using the old GM site. Officials also provided the company with more than $1 million in loans that would be forgiven in 10 years so long as the company maintained certain staffing levels and had at least $175 million invested in the facility. There were no requirements related to wages, and officials said they weren’t especially concerned about reports out of Pennsylvania that Amazon warehouse workers were being hospitalized for heat exhaustion. A spokeswoman for Maryland’s commerce department said Amazon must provide the state with documentation on its job count at the end of each year. So far, the retailer has exceeded its obligations on the employment front, creating more jobs than required. Enrico Moretti, an economics professor at the University of California, Berkeley, said communities are playing a “zero sum game” when they compete to lure a fulfillment center to the area, since the facility is going to end up somewhere. “With the subsidies, they are essentially giving away some of the benefits that the fulfillment center would generate for the community,” he said. Still, he noted, tax breaks like the ones for Amazon in Baltimore can seem small when compared to deals for manufacturing plants, for which governments often shell out hundreds of thousands of dollars per job. That’s because the ancillary benefits of a fulfillment center can seem small, Moretti said. A major manufacturing plant could attract additional suppliers, and Amazon’s next headquarters could attract more tech companies and high-paying jobs. But “there’s not going to be a wave of tech startups because there’s an Amazon fulfillment center,” he added. Many areas have been reluctant to attach strings to their Amazon arrangements related to working conditions. 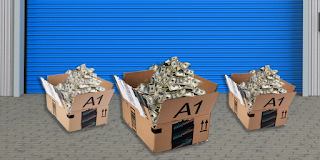 An analysis done of fulfillment center deals by the Business Journals network turned up instances where officials actually waived wage requirements for Amazon that would normally apply to other corporations, just so Amazon could secure the subsidies at stake. “Their rationale, repeated by local officials interviewed by The Business Journals: Any job is better than no job,” the site reported. Even though the subsidies are predicated on jobs, Amazon won’t always need the workers that it does now. Warehouses are becoming increasingly automated, with robots performing tasks that humans were responsible for just months ago. These advancements make warehouse work less tedious and stressful, freeing up workers to supervise machines that do the heavy lifting. But the new efficiencies also translate into fewer jobs, particularly less skilled ones. Joshua Geathers didn’t stick around the Baltimore warehouse long enough to see robots take anybody’s job. He left Amazon last year and now works as a field technician for a data services firm, making around $9 more per hour than he did at the warehouse. He’s grateful not to be in the fulfillment center in the runup to the holidays. He found that trying to build a career there required a certain degree of desperation. “It’s a place where one would work if they were in dire need of money,” he said.